The Pacific Economic Cooperation today in Washington released a report on the outlook for the Pacific region. This included a paper on the prospects for Transpacific Energy Trade which is available at PECC website. In this article, I summarise some key points from that report in the Toronto Globe and Mail (the full text is here). Briefly, I point out that at present there is hardly any trans-Pacific energy trade. The markets for energy on the two sides of the Pacific are segmented and prices are different. Historically, natural gas in Asia has been priced at a premium relative to North American natural gas because of limited competition, long-term contracts, and indexation to oil prices. In recent years, the price differentials have widened considerably, with the current gap between the Japan contract price and the (North American) Henry Hub price in 2011 at an astonishing $12.50/MMBtu. North American gas could be competitive in Asia against existing suppliers, or at the very least serve as a secondary source of supply for Northeast Asian countries looking to diversify their energy imports or seeking more secure sources. At current prices, the break-even export price is estimated to be around $9.60 (U.S)/MMBtu for U.S. Gulf Coast terminals and $7.40 (U.S.)/MMBtu for Canadian export terminals, both of which are comfortably below the recent Japanese contract price of $16.70(U.S.)/MMBtu. Whether these trades take place depends on the ability to finance the infrastructure required and the ability to deal with local environmental issues in the source countries. But clearly, as mentioned, this change could have big implications for other suppliers in the region, including Indonesia. There is a very large flow of gas from SEAsia and Australia to NEAsia and the prices received could fall significantly if those suppliers are to retain their market share. ….price differentials can be expected to decline because of a potential shift in the balance between contract and spot LNG prices used by Asian buyers. While contracted LNG has been the traditional mainstay, a number of economies have recently demonstrated an increased openness to purchasing spot LNG. ….North America’s entry into the Asian LNG market, by providing Asian buyers with an additional source of LNG supplies, might persuade them to buy a greater proportion of their LNG from spot markets. The fact that Henry Hub spot prices are far lower than contract LNG prices would mean that the average price paid by Asian buyers for their LNG would decline (even if contract prices remained the same). In fact, it may indeed be fortuitous that Indonesia may switch to net importer status. Otherwise, these changes could have had a big impact on its terms of trade and Indonesia’s real income. Australia in comparison is not so lucky! I finish with a question – these developments also mean that there are investment opportunities in North America for companies in SEAsia with expertise in these fields. So SE Asian National Oil Companies are starting to take stakes in North American oil and gas projects. 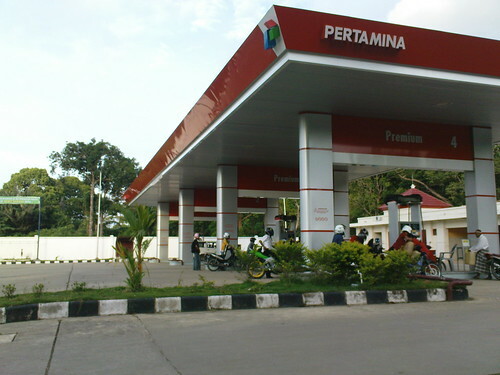 PTTEP (Thailand) and Malaysia’s Petronas have each invested around $US2b.